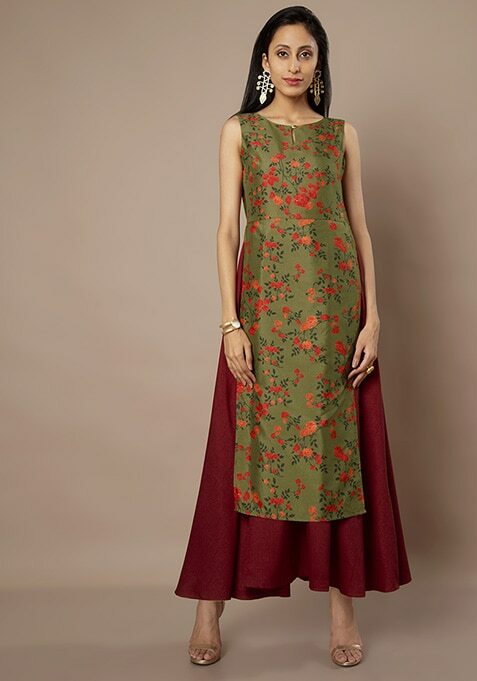 Opt for minimalistic trends with this olive floral maxi tunic. Features floral print all over and a double layer design. Work It: Wear cut out earrings with this tunic and complete your look with ethnic style footwear.